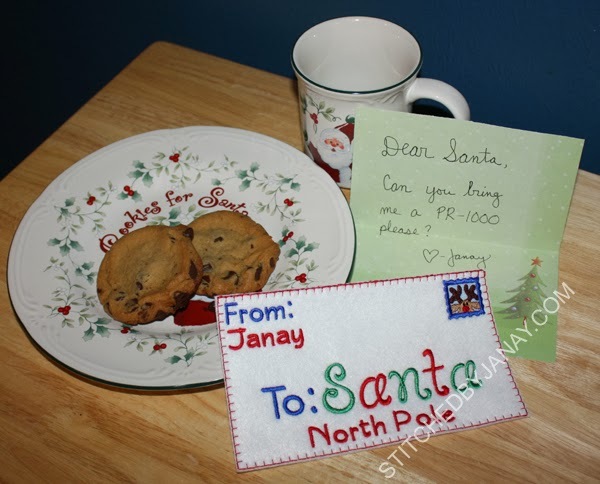 ... and I have my letter to Santa written and ready to go! Hee, hee, hee... what do you think of my note? Do you think I'm on Santa's nice list this year?! 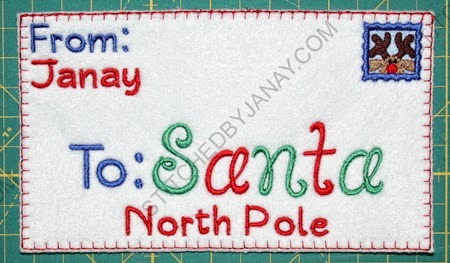 This Santa Letter Envelope design is from Embroidery Boutique. 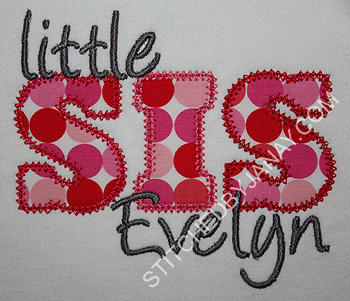 Isn't the applique stamp cute?! 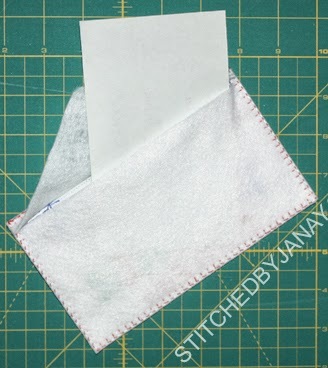 You can also purchase the alphabet (Simple & Cute -- which stitches really well in small sizes) to customize the envelope. Here's a quick picture of the back. Tacking down the flap is built into this ITH design. I took lots of pictures during the construction process -- they were used in the instructional pdf. I'll let you know what I wake up to on Christmas morning!!! 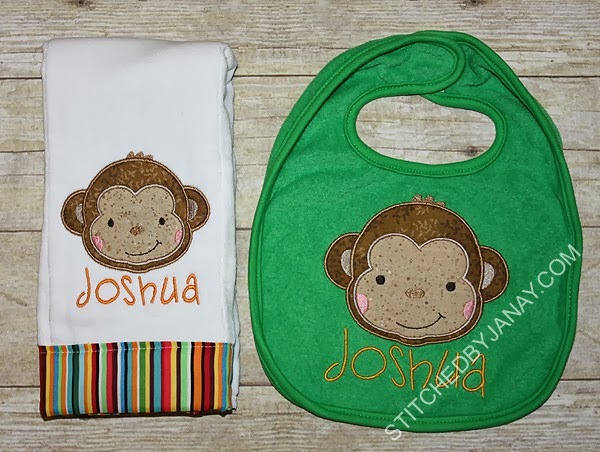 The sweet monkey face design is one I got to test for my friend Amy who has just launched a new business! 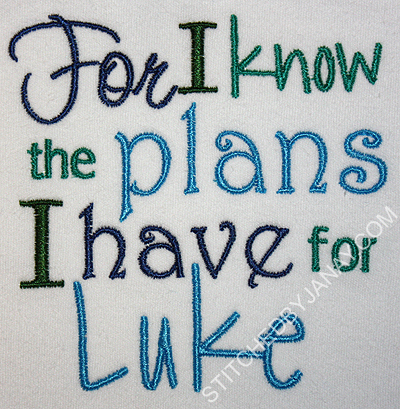 We've gotten to know each other through an applique group, and she also has been a tester for LP (which makes me confident she knows what makes a design excellent). But she graduated out of that to start digitizing herself! Both the 4x4 and 5x7 sizes of this face stitched beautifully. I expect great things from Amy in the future. 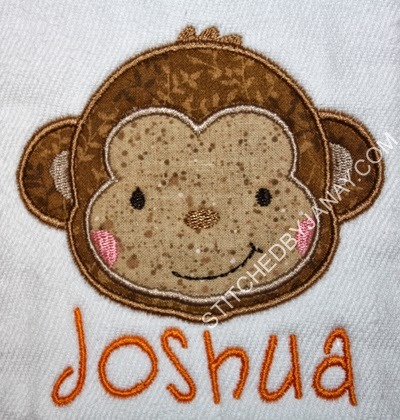 For now you can find her on Etsy (her shop is Stitch Away Applique) an next week her site Stitch Away Applique should be active. 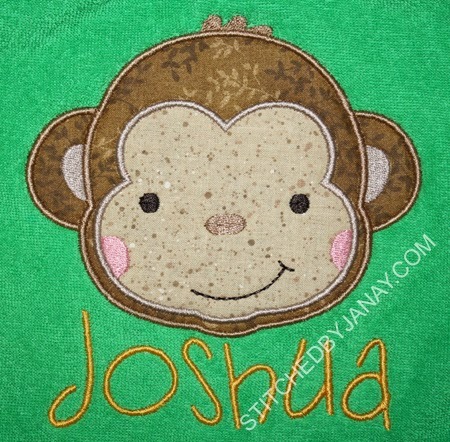 I added Joshua's name with I2S's Silly Monkey font. 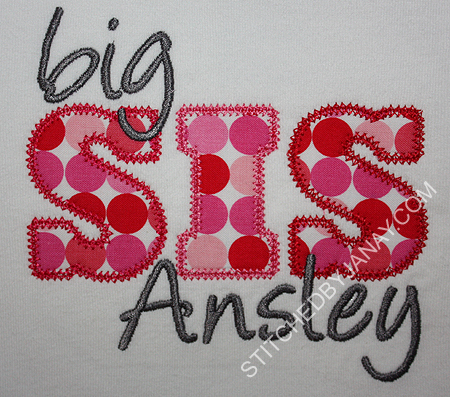 Some projects take significant planning, require tons of decisions and meticulous work to create an awesome shirt. Other times you get a quick idea and throw it together super duper fast. Then I thought... hmmmmm... Do I have a black shirt? I sent him off to watch something with his big sister and I cranked this out really fast. LOOK AT THAT SMILE!!! I have no desire to be a full time digitizer, but it is nice to have digitizing software for times like this. I traced the logo in my software and converted it to a triple bean stitch. I hooped a black tee I got on clearance for $1.25, laid down a piece of red knit and stitched the outline. Trimmed it out and took it back to my son. A friend of mine recently had a baby. 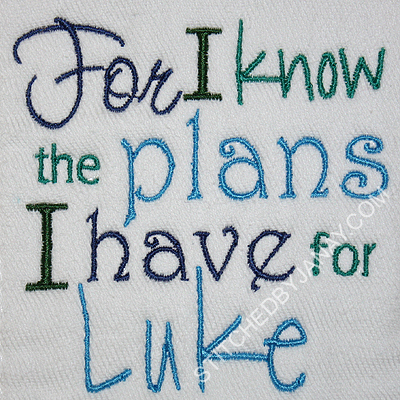 He is her fourth child and was a surprise :) I wanted to encourage my friend that even though little Luke wasn't planned by mom and dad, God certainly has plans for him! Isn't that great news we can rest in as parents?! Another friend is expecting her third baby. They already have a boy and a girl, so they are keeping the gender of this one a surprise until delivery. 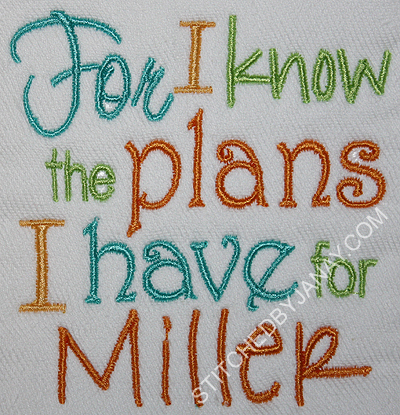 But either way, they will name the baby Miller. Isn't that a neat concept?! So I made a similar set, using gender neutral colors. 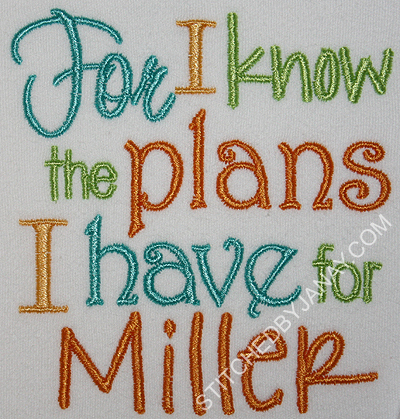 Both sets use Itch 2 Stitch's Jeremiah 29:11 Add a Name design, and I added their names with I2S's Rockford. 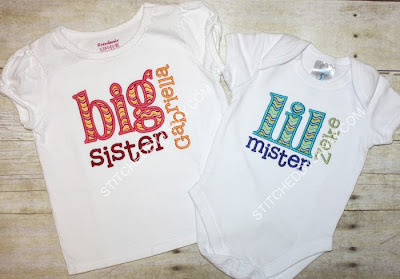 Now a little bit more behind the scenes story that might interest my embroidery friends. 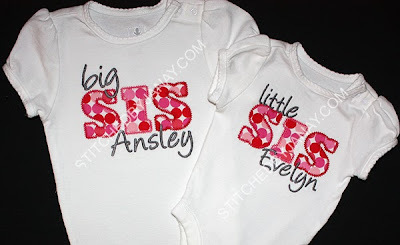 But when you compare the picture of the exact same design on a onesie, you can see what a difference there is between embroidering text on a thick burp cloth and knit onesie. I love the way this turned out with the blues and greens! In relaying my thoughts to Cristy I told her this is a case where I as a customer would either opt to not use it on a burp cloth, or significantly fiddle with pull compensation in my software. Does that mean there is anything wrong with the original design? NO! I think sometimes we expect EVERY design to be perfect for EVERY situation. And that simply isn't always going to be the case. That's why I LOVE having software to manipulate designs to suit my particular situation. and this is the onesie. Still a significant difference between the two items due to thickness, but maybe the design is a bit more versatile now. Can I say how much I love this 2-for-1 deal?! I got to help trouble shoot with a customer getting her back on track for her own project, and I got to give a really special gift to two of my friends! Best of both worlds!! This huge baby boom going on in my world (FOURTEEN babies since March) has given me so many opportunities to play. I know I have been really quiet for the last few months! 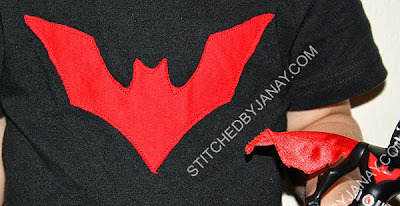 I promise I haven't completely given up on applique nor my blog. Lots of factors have contributed to my seemingly inactivity... some of my projects are gifts that haven't been received, or designs I've tested that haven't been released by the digitizer. But the bulk of my excuse is that I've been busy doing some behind the scenes things, and my role in the embroidery community is changing! Exciting times! 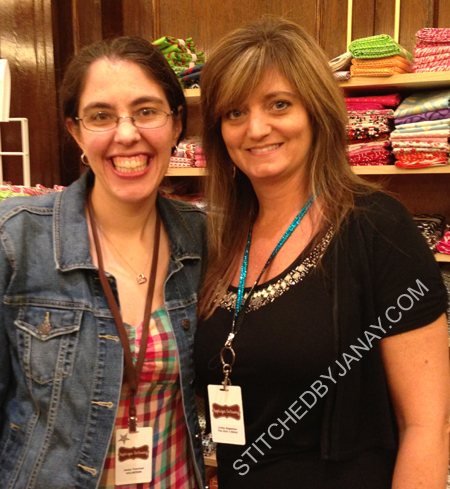 I've already shared at length how awesome my experience at Applique Getaway was. I included a little throw away line, "There was a lot of hustle and bustle at the very end of the day, the vendors had to pack up and get out pretty quickly. I chatted with Cristy a bit more as I helped take down..." but have kept that particular conversation a secret for quite a while. Wanna know what we talked about?! Cristy asked about hiring me to help answer emails for The Itch 2 Stitch. !!! I was blown away by the idea and frankly speechless (can you even imagine such a thing?) Once I got home and recovered from my trip, we talked over all the details and I realized this is EXACTLY the type of job I would love to do from home! I agreed to begin when my kids started school. We are about four weeks in, it is going well, and we officially announced the news this week. 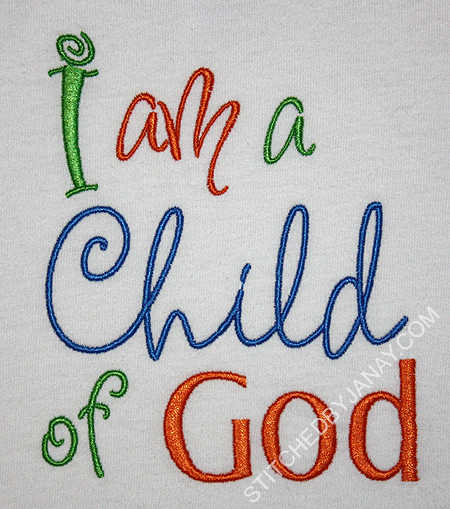 Well, if you are a personal friend or family member that I have sewn for in the past, not much is changing. I'm still available for limited custom orders as time allows. I will not accept orders from the public, I just simply do not have the time, but can refer you on to someone else. Even though my little guy is in preschool five mornings a week, that's not quite as much "free time" as you would think. :) So really this is no change from last school year. If you are a fellow embroiderer who follows along on my adventures, I hope to continue sharing all of my projects with you as I always have! 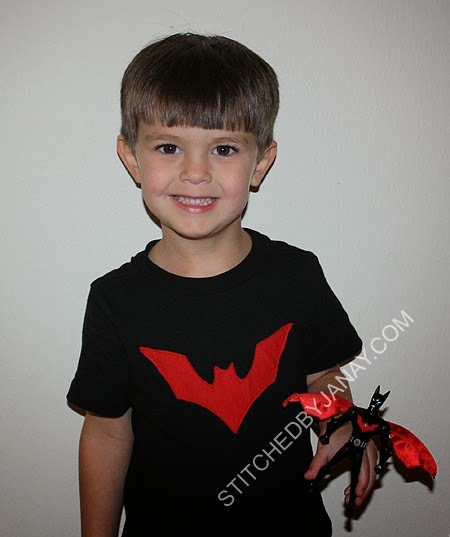 Even though I am technically a part of The Itch 2 Stitch team, this is still *my* blog. You will see a lot more I2S design and fonts being showcased here in the future, but it's not because I'm required to use them, just that they are adorable and available to me :) or I may do a quick project in an effort to troubleshoot with a customer. OH and I just got the "I Want it All" CDs from Designs by JuJu... so for sure you will still see projects from our old-time favorites. I recently tested a design for a brand new digitizer who hasn't even launched a website yet (it's so cute I can't wait to show you!) so I hope to still have time to point you to newbies as well! Whew, that was long winded. But I felt like I should share my exciting news with you, and give a "full-disclosure" sort of statement. This blogging thing and being active in groups/forums is actually paying off! ;) Yippy!! 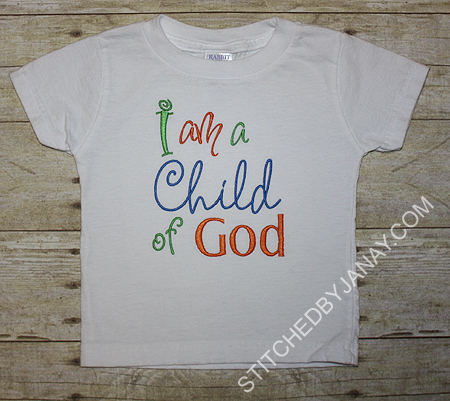 Thanks for being a friend of Stitched by Janay. 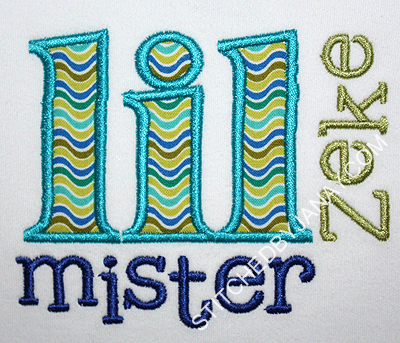 Without my fellow embroiderers I wouldn't have this opportunity! They may look familiar, but actually it's my first time using this exact set... MCA's VINTAGE sibling set. 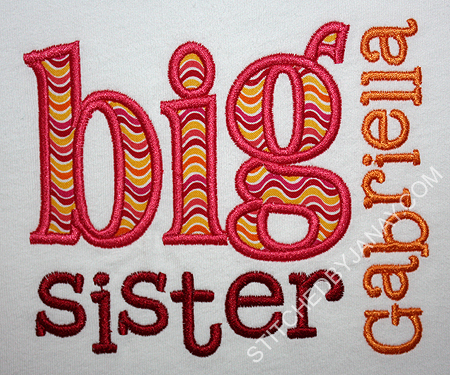 I love the look and the quick stitchout of vintage applique letters, I'm so excited she released this version! I added their name with MCA's Angelina.